The art of synthesizing chart factors in the process of analysis calls us to consider many factors. One of the most important is to consider the strength and dignity of the planets. The 'benefics' are not constant sources of good fortune, the 'malefics' are not always damaging; nor is it fair to assume that all planets express an equal importance at all times. The planets - their location in the sphere, and their interaction with each other - are the symbolic heart of astrology; all other considerations - houses, signs, fixed star alignments - are secondary considerations that take their place as supporters and moderators of planetary meanings. Good astrology is reliant upon the ability to discriminate between standard textbook meanings and altered forms of expression; to recognize where the strength of one planet will override the contradictory influence of another. These factors are largely determined through assessing the level of 'dignity' that each planet has. Familiarity with the process soon allows the astrologer to develop a fluent insight into how the planets are operating and where the fundamental focus of the chart is taking place. Yet modern textbooks often fail to explain the importance of assessing dignity and many students are unfamiliar with Ptolemy's table of essential dignity. This article is designed to act as an introduction to its use and meaning, particularly in its ability to offer descriptive symbolism of direct value to predictive branches such as horary. There are two kinds of planetary dignity - essential and accidental. Ptolemy's table of 'essential' dignity is so named because it shows the parts of the zodiac where the traditional planets are always dignified. We consider these regions to have a fundamental relationship with the planet itself, inasmuch as Mars will always have a special association with Aries, regardless of its house position or specific location in the chart. 'Accidental' dignity indicates the strength that a planet gains for some reason other than its zodiacal position. 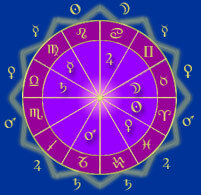 Mars on the midheaven, for example, is accidentally dignified due to the prominence of its position in the chart. Accidental dignity can be conveyed by any attribute that fortifies the planet - such as being direct, swift in motion, angular, free from combustion, in a beneficial aspect to a fortunate planet or conjunct a fixed star of a fortunate nature. Both essential and accidental dignity indicate promotion of planetary strength. In horary charts an essentially dignified planet is more likely to be favourable in its influence - like a contented person, the planet is operating within an environment that suits its temperament. Being contented, it is less likley to be destructive in its influence, and the actions of an essentially dignified planet are usually expected to be honourable. However, strength and dignity do not always go together. Where a planet lacks essential dignity, but is brought to prominence through accidental dignity - such as angularity and an unhindered motion - the result is a powerful planet that may or may not be beneficial. If that planet is acting as the ruler of an unfortunate house, is located in its sign of detriment, and is making hard aspects to other unfortunate planets, then the factors that offer accidental and essential debility are overwhelming. The planet's influence will be detrimental while its power to express the influence is augmented. Although there are point-scoring tables to help determine the planet's overall position of dignity, it should be remembered that indications of dignity and indications of debility do not necessarily cancel each other out in a way that can be properly summarized by a numerical score. The astrologer needs to assess the factors and remain mindful of how they operate simultaneously to reveal the planet's true nature and influence. There hath been much difference between the Arabians, Greeks and Indians concerning the Essential Dignities of the Planets…. After many ages had passed, and until the time of Ptolemy, the Astrologians were not well resolved hereof, but since Ptolemy his time, the Grecians unanimously followed the method he left, which ever since the other Christians of Europe to this day retain as most rational. The next page displays the table with explanations of how it is read. A short assignment is included so that you can test your ability to take dignities from it correctly. This article then continues with a review of how dignities can affect interpretation.